Sign up and receive Property Email Alerts of Farms for sale in Swellendam, Swellendam. A hidden sanctuary, with its unsurpassed beauty rarely seen, this Private Mountain Nature Reserve of 375 Hectares (approximately 500 Hectares surface area) located in the Langeberg mountain range, along the Popular scenic Tradouw pass (Route 62) between Swellendam and Barrydale is recognised as one of a kind, the 'Jewel of the Langeberg'. The Owners, conservationists, have for 47 years not commercialised the property ensuring an almost pristine mountain environment. There are several magnificent mountain pools along the three and a half kilometres of the Tradouw river running through the property. As well as endless, breath taking and unspoilt mountain views in all directions across conservation-protected mountain environments. The property functions off the grid, using solar gas and generators. The main Rustic historic manor house is approximately 100 years old. Floor area of 200 square metres. There is also, the waenhuis now used as a garage. Two Heritage Sites are located on the property: The 1865 Tolhuis (toll house (Bain), and San Rock Paintings that are a National Monument. There is great Potential for eco-development and recreational activities in keeping with its conservation status as a Protected Mountain Environment. 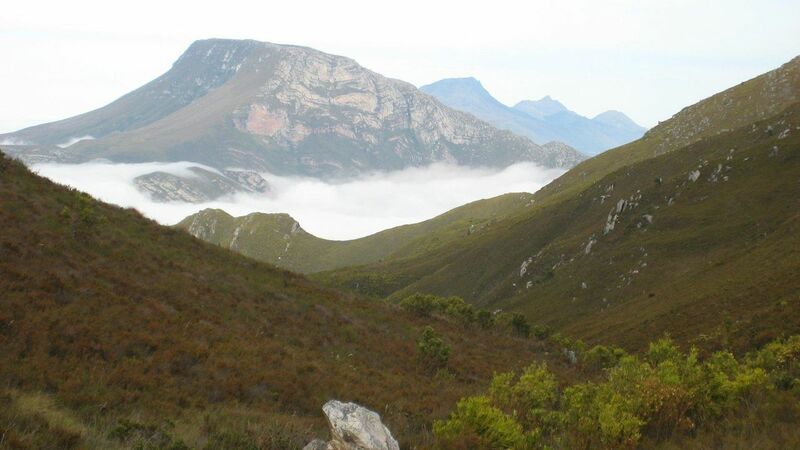 The centre of Langeberg mountain biodiversity has been established as being on Stonehaven and the surrounding Tradouw kloof area, especially with respect to the species-rich Fynbos. A 17 year-long botanical study across the mountain range by the owners, gives credence to this statement. Invasive vegetation is negligible on the mountain slopes. Invasives in the river systems have been largely cleared, and are biologically contained. Leopard, buck and many animals are located in the unspoilt approximately 8000 hectares that surround Stonehaven. Bird-life is extensive due to the meeting of eastern and western Cape species in the Tradouw kloof. There is an all-season annual rainfall of approximately 850 mm. Winter rainfall from the north west, and summer orographic southerly winds causing precipitation over the mountain areas. Sign-up and receive Property Email Alerts of Farms for sale in Swellendam, Swellendam.